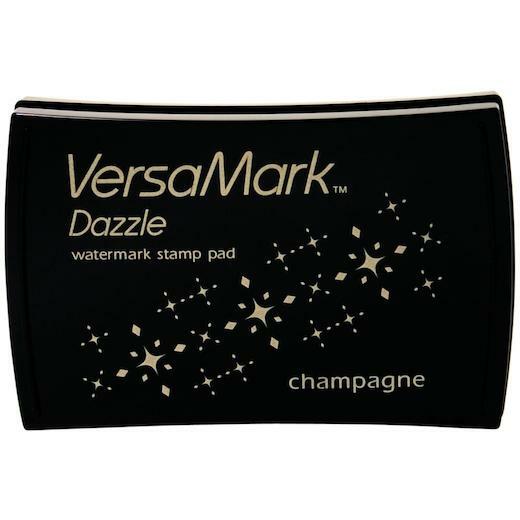 Tsukineko VersaMark Dazzle Watermark Stamp Pad combines all the great qualities of the original VersaMark with added shimmer to give your paper projects an easy touch of elegance. VersaMark allows you to perform a number of amazing techniques. Stamp your image onto text-weight paper to explore the possibilities of watermarking, or stamp subtle tone-on-tone images onto coloured cardstock. 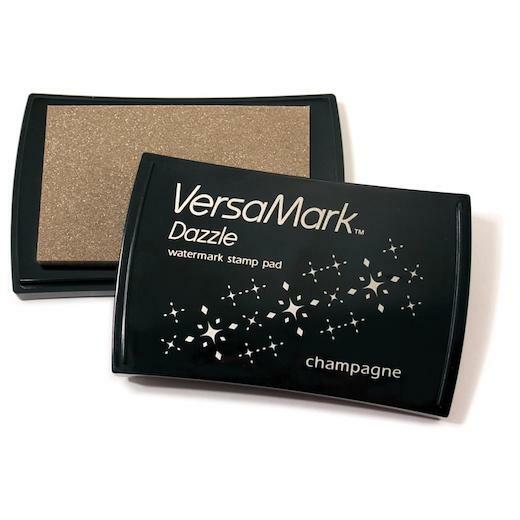 VersaMark is so sticky that it will act as a "glue" for chalks and pigment powders. Water-based, archival quality, and acid free. Non-toxic: conforms to ASTM D4236.